A water conditioner from RainSoft is an effective and affordable way to soften the water in your home in Columbus, Ohio. You may be wondering what makes water hard. 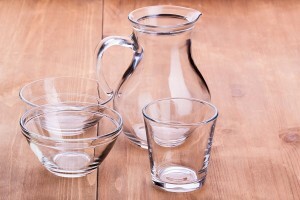 It is believed that the term “hard water” originated after it was noticed that the water in some areas of the country required extra soap to produce a rich lather. As such, the water was deemed “harder” to use for cleaning, laundry, and other related tasks, and the name stuck. If you choose a RainSoft system, your home water supply will enter your whole house water conditioner as hard water and exit it as soft water. That’s because the water conditioner will remove the irksome minerals by exchanging them for trouble-free sodium or potassium through a process known as ion exchange. In addition, to ensure an abundant supply of softened water, your water conditioner will be completely customized to your requirements, including the size of your home, the number of people in your household, and your local water quality. Contact your local authorized RainSoft dealer today if you are interested in a high-quality water conditioner for your home in Columbus, OH. We’ve been taking the worry out of water since 1953, and we’ll be please to provide more information on our state-of-the-art water treatment options.